All of your answers in one place. Don't wait to read all about it. Ask us what's next. OMSI is one of the nation’s leading science museums and one of Oregon’s most popular tourist attractions. 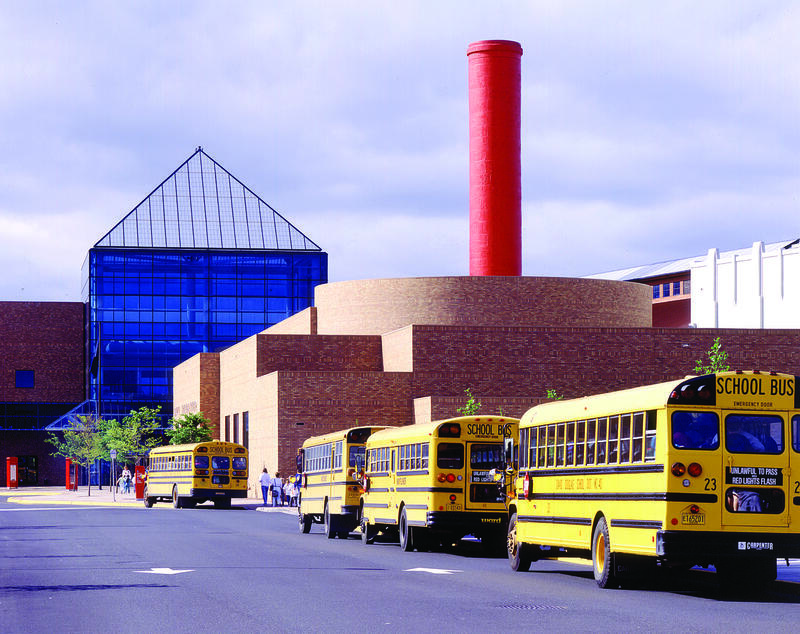 The largest museum-based, traveling science exhibits program in North America. OMSI has developed over 50 interactive science traveling exhibits - including world-popular exhibits such as Animation featuring Cartoon Network, Star Trek: Federation Science™, Super Heroes: A High-Tech Adventure™, Brain Teasers, BUSYTOWN™, and Mindbender Mansion, that have been featured at museums throughout North America and Europe. The concept of OMSI was born more than 100 years ago in the mind of famed naturalist C. Hart Merriam. In 1906, a City Hall Museum was established for displaying some of the amazing collections received from local donors. Despite public demand, by the 1930s these exhibits had been placed in storage due to the need for more office space in the building. An effort in 1930 to start a Portland Museum of Natural History was soon derailed by the Great Depression. Then, in 1938, Portland civil engineer J.C. Stevens joined the museum effort when he was appointed chairman of the Geological Society of the Oregon Country's museum committee. Stevens remained one of the museum's strongest advocates for the rest of his life, serving as both President and Board member throughout the years. 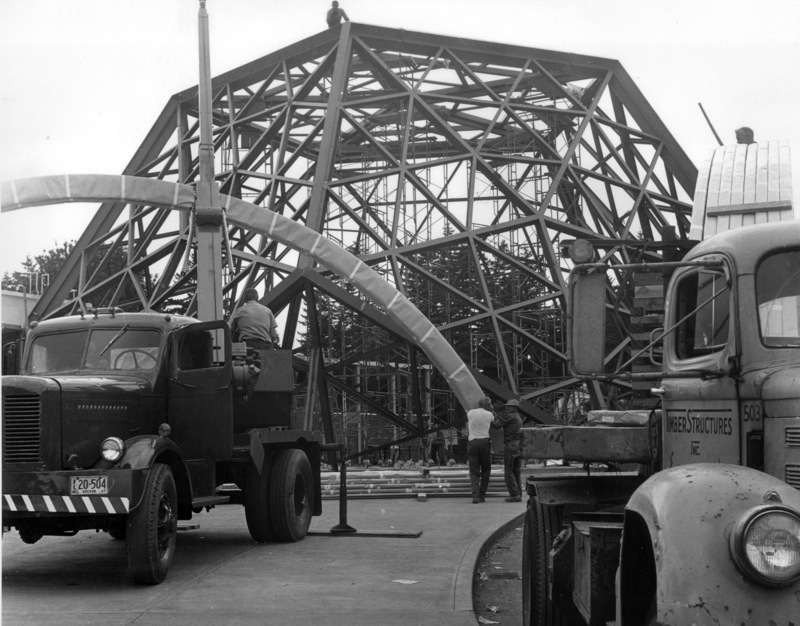 Due to delays caused by the Second World War, it was not until 1944 that the idea of a museum began to take shape with the incorporation of the Oregon Museum Foundation. In 1946, the first display of natural history objects was exhibited by the Foundation at the Portland Hotel. 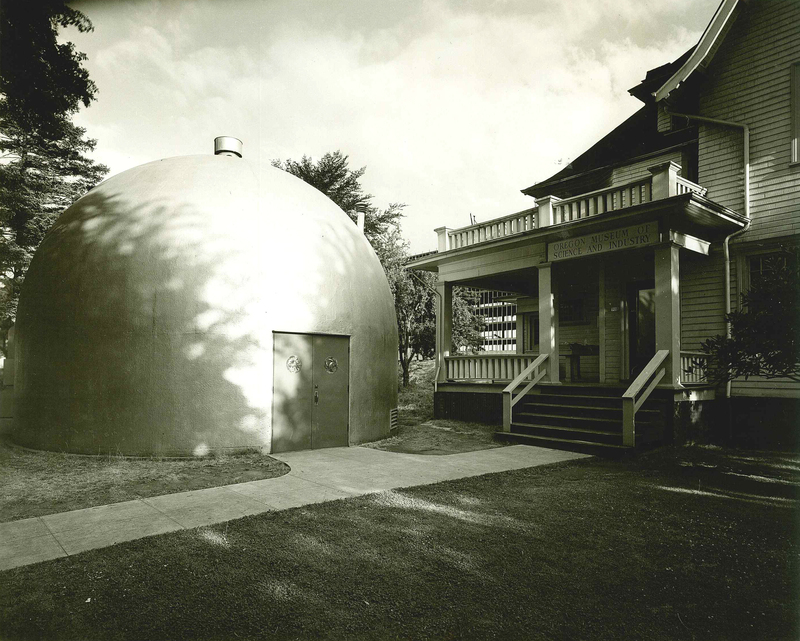 Support for the museum continued to grow and in 1949, businessman Ralph Lloyd allowed the Foundation to set up a temporary museum in a house he owned on NE Hassalo Street. It was in this location that the museum was first given the name "Oregon Museum of Science and Industry." 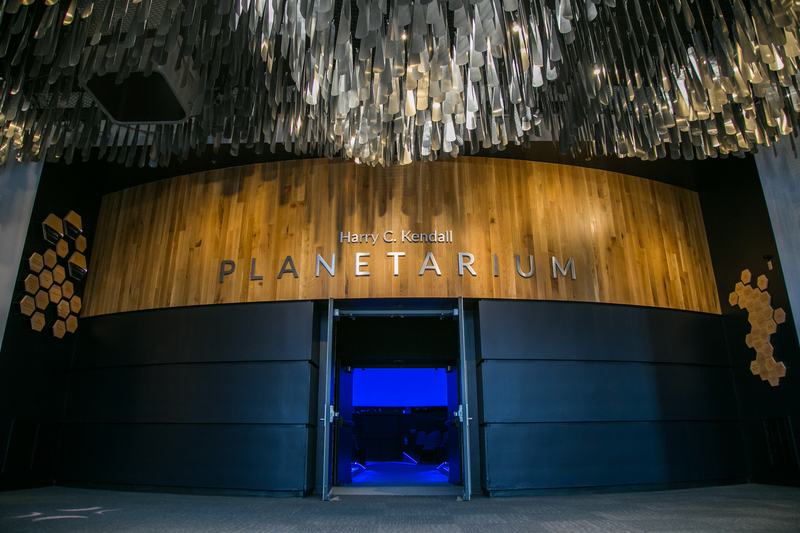 Within a year, the Pacific Northwest's first public planetarium opened on the site, giving visitors the chance to take a 20-minute trip to the stars under its dome. By 1955, annual attendance at the Hassalo House had swelled to more than 25,000 but the house was set to be demolished to make way for a new hotel. The house had always been considered a temporary home and there were very early plans to build a dedicated museum building, but the museum had no land to build on. The City Council stepped forward and agreed to lease land in Washington Park to OMSI for the sum of one dollar per year. Now that a location had been found, a group of civic-minded business and education leaders began a statewide fundraising campaign to build the new museum of science and technology. In the spirit of pioneer barn-raisings of the 19th century, more than 400 volunteer union brick layers and hod carriers laid 102,000 bricks to raise the walls of OMSI's new Washington Park site in one day on August 17, 1957. On June 7, 1958, J.C. Steven's dream of a dedicated hands-on museum of science and technology became a shining reality with the opening of the Washington Park location. 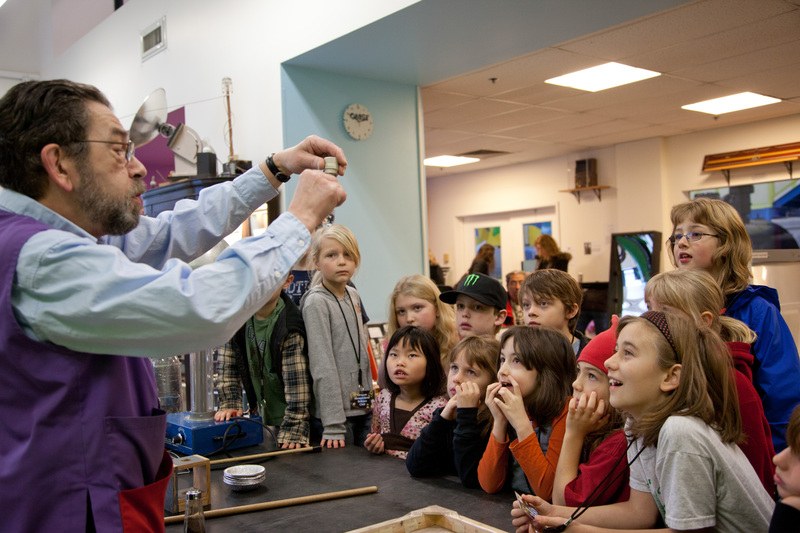 Over the next 35 years as a non-tax based private institution, OMSI's interactive science exhibits and educational programs introduced millions of visitors to the wonders of our world. 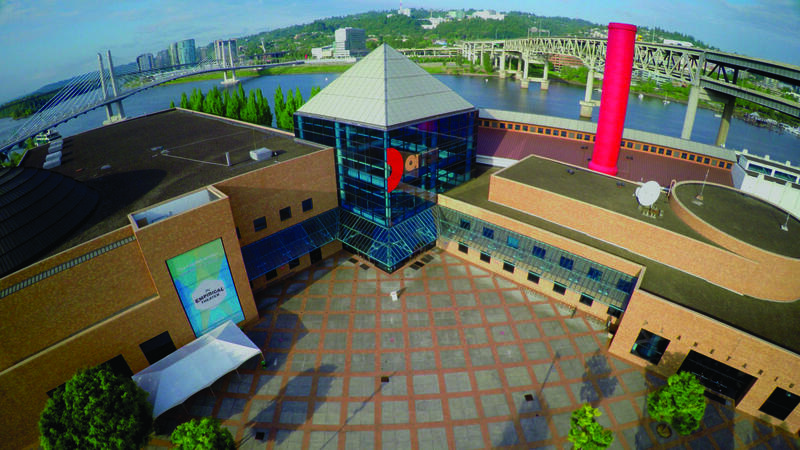 By the mid-80s, OMSI's popularity with visitors surpassed the size of its facility as 600,000 people per year attended a museum built to accommodate only 100,000. 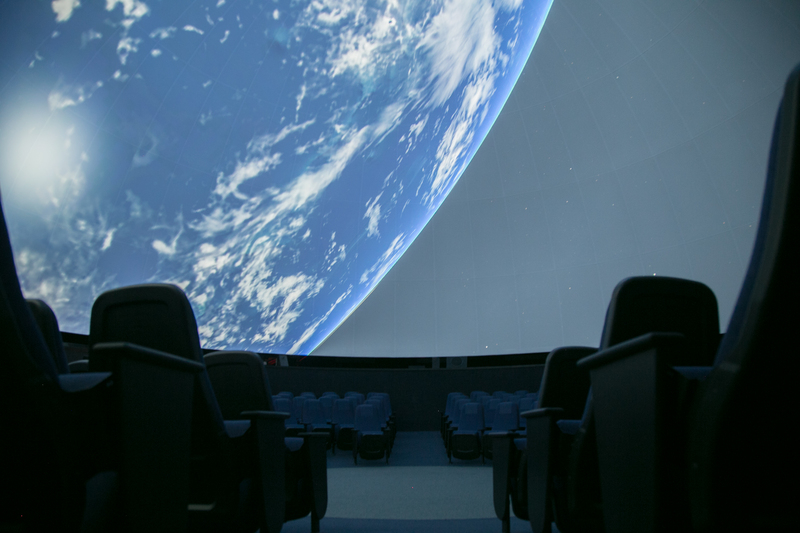 A new group of community leaders began a campaign to build a state-of-the-art science center, complete with a 315-seat dome-screen OMNIMAX Theater (the first in the Northwest) and an expanded 200-seat planetarium. Five years later, businesses, foundations, and individuals donated more than $32 million to construct a new museum. 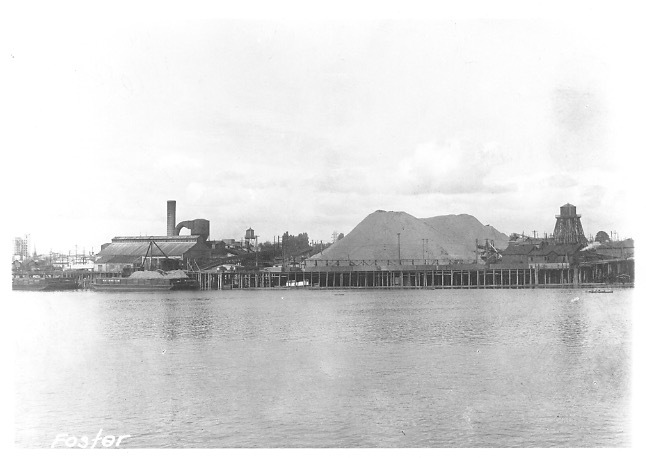 The project came together when longtime OMSI supporter, Portland General Electric, generously donated an 17-acre site that held a historic sawdust-fired power generation plant. 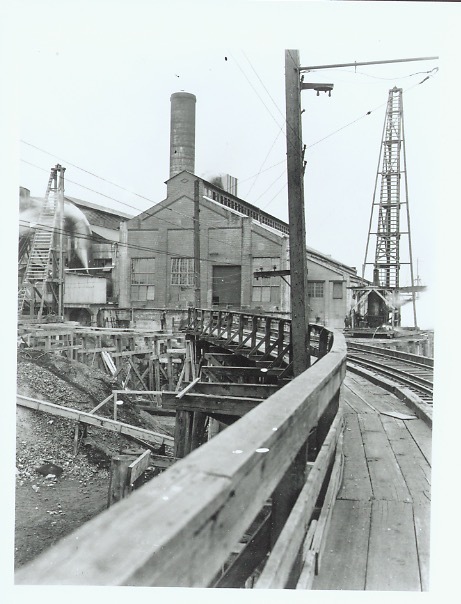 The plans for the new museum incorporated the original smokestack and turbine buildings to blend together technology of the past, present, and future. On October 24, 1992, the new 219,000 square-foot OMSI opened. 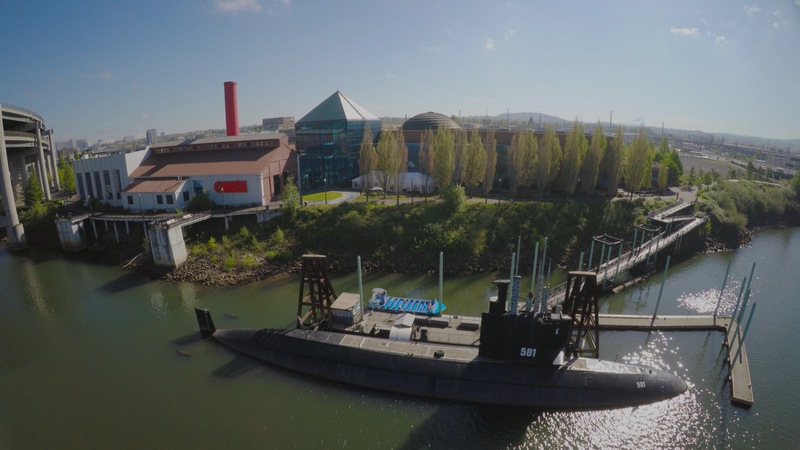 In 1994, OMSI opened the USS Blueback for public tours, providing a unique look at the people, history, and technology associated with the last non-nuclear powered submarine built by the U.S. Navy. 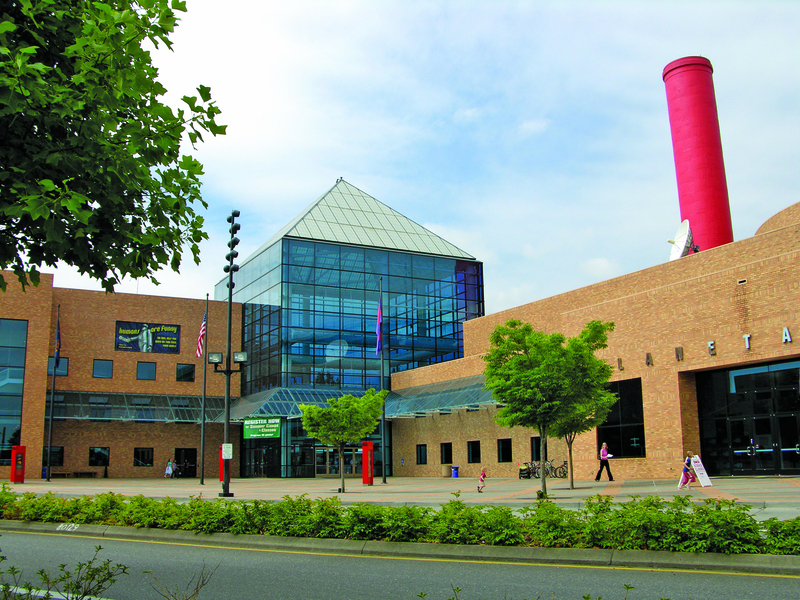 OMSI has continued to grow over the years and currently has five exhibit halls with hundreds of interactive exhibits and displays. Today, the museum serves more than one million visitors at the museum and through off-site education programs. 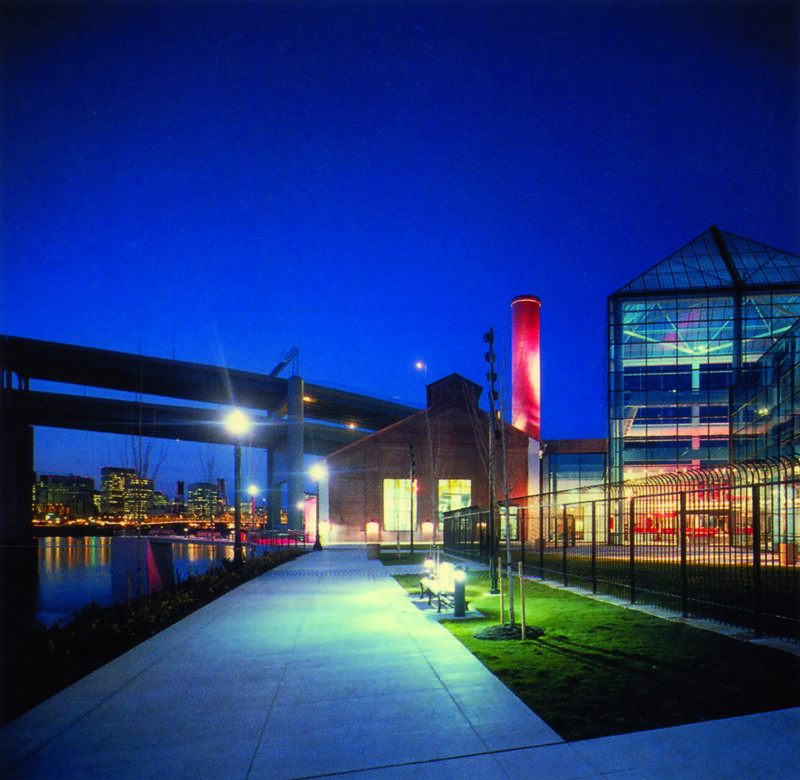 OMSI is ranked as one of the top science centers in the United States and has an international reputation for its innovative exhibits and educational programs. 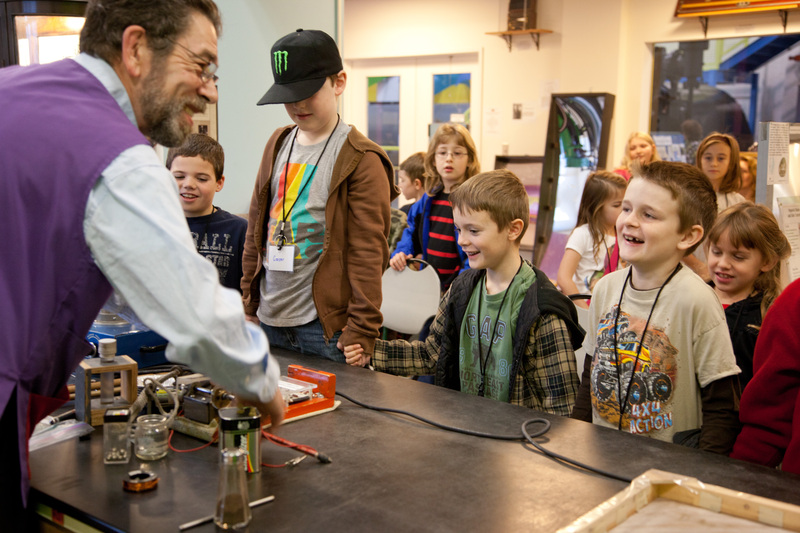 OMSI offers the most extensive, longest running, and in-depth summer science camps program in the Northwest. 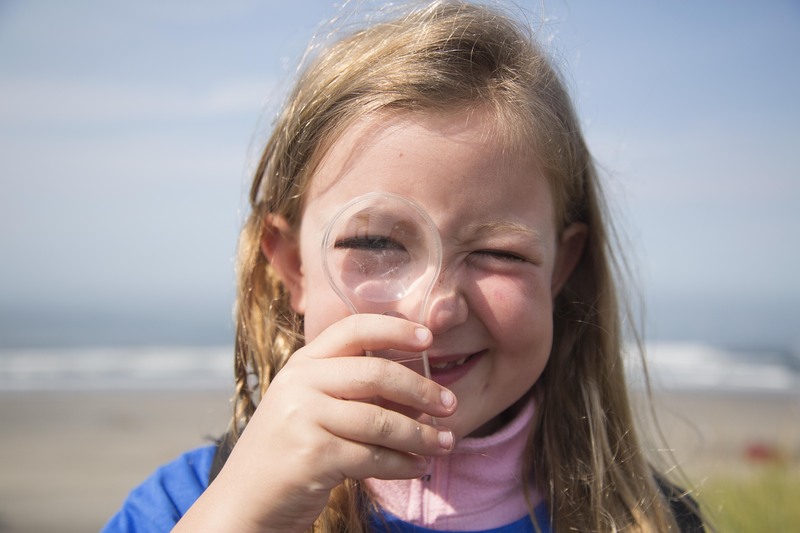 OMSI science camps take place in a number of venues including State and National Parks, private camps, as well as backcountry wilderness areas throughout Oregon, Washington, California, and even Canada. 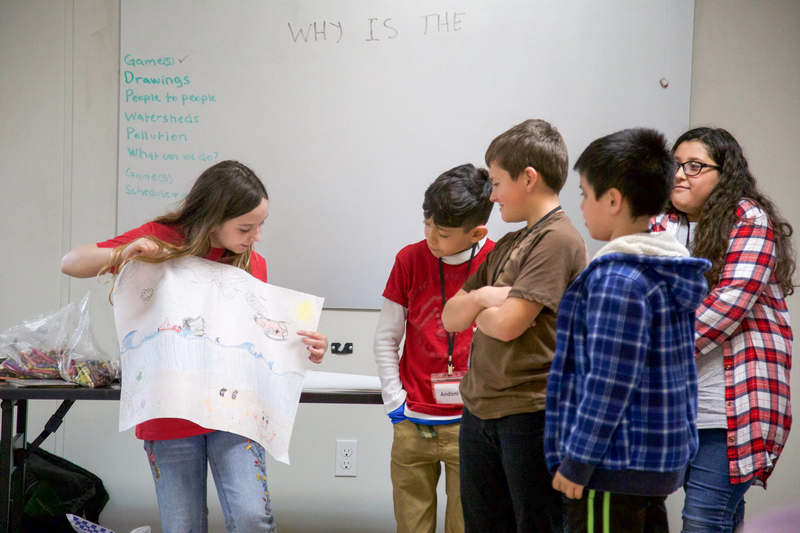 OMSI Science Camps are the perfect way to develop skills and enthusiasm while instilling curiosity and respect for the natural world. Hancock Field Station, a residential camp located in the John Day Fossil Beds National Monument near Fossil, Oregon, has been owned and operated by OMSI for over 60 years. Other OMSI camps are held at locations around the Pacific Northwest including Wolf Creek Educational Center in the Redwood National and State Park in Northern California, and San Juan Island National Historic Park on San Juan Island, Wash. OMSI’s newest residential camp, Camp Gray, is located in Newport, Oregon. Camps are offered for youth grades 2-12, as well as adults and families. Camps run during Spring Break and from the middle of June through August and generally last one week. Campers are immersed in a positive and wholesome environment where self-esteem, confidence, teamwork and friendships develop naturally, and adventure and activity are balanced with quiet and reflective moments. 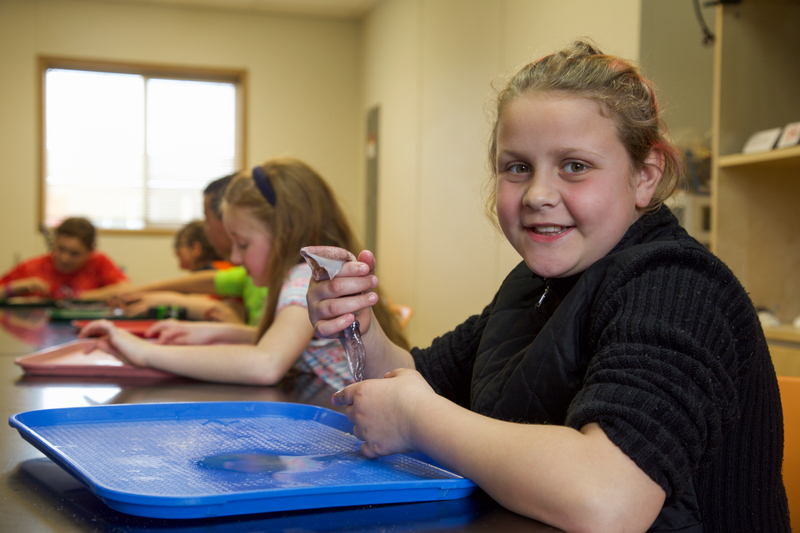 Camps are science-oriented with hands-on activities designed to be active, fun and educational. 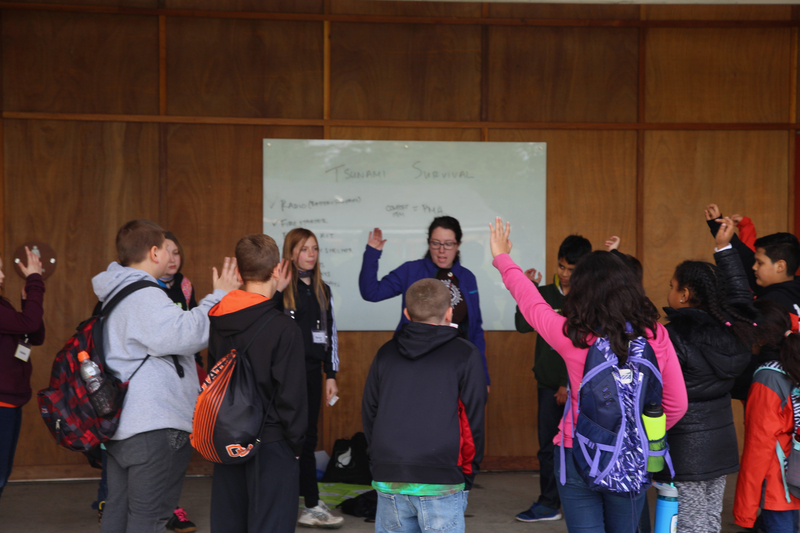 Campers can sign up for naturalist, adventure, and/or research camps. 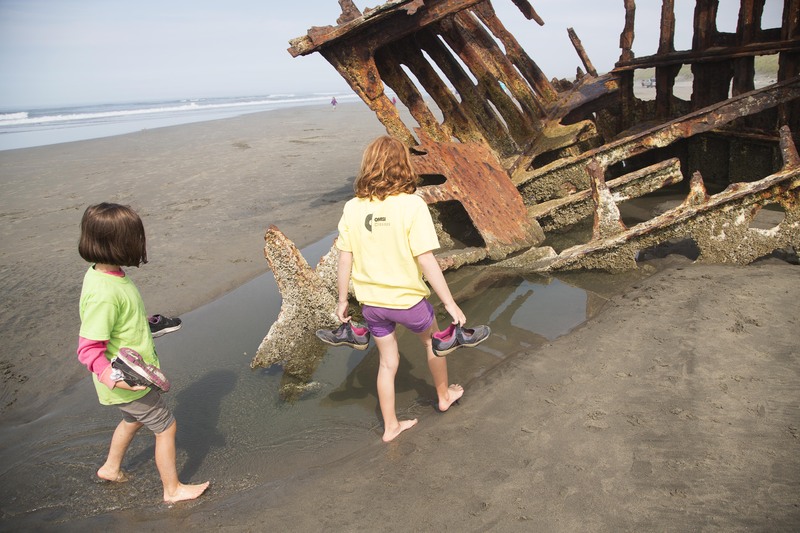 Campers become explorers, learn about marine biology, or take a rafting trip along the Deschutes River. The safety and success of each participant is taken to heart by a caring, professional staff of outdoor and science educators and all programs maintain a ratio of one adult for every five to six participants. With the widest variety of science topics offered compared to other programs in the Northwest, youths aged 4-14 can take part in sequential, in-depth study in one or more of their favorite fields of science. 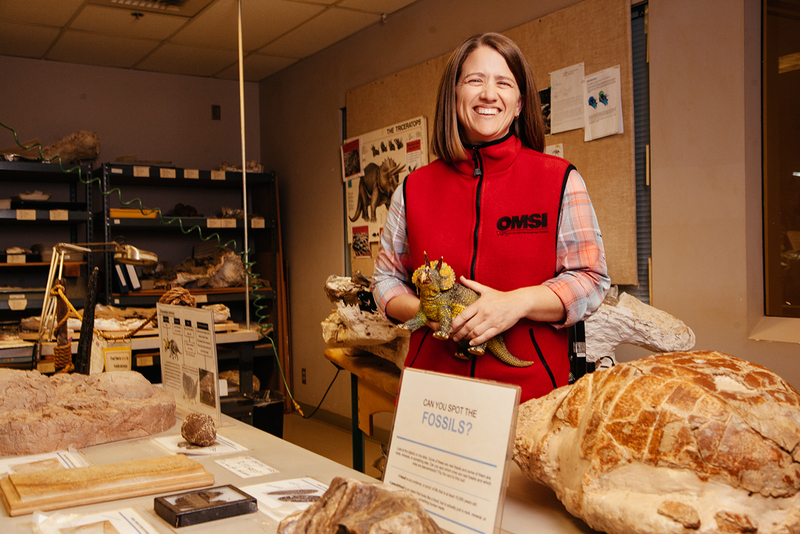 OMSI offers a high-caliber staff as all instructors are Oregon State certified teachers and/or have extensive experience working with children. 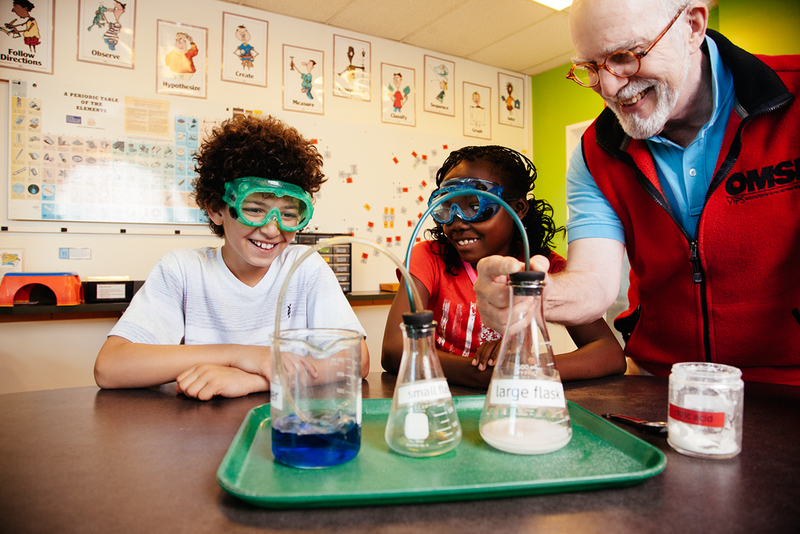 In OMSI Science classes, young scientists investigate scientific phenomena using a hands-on approach. 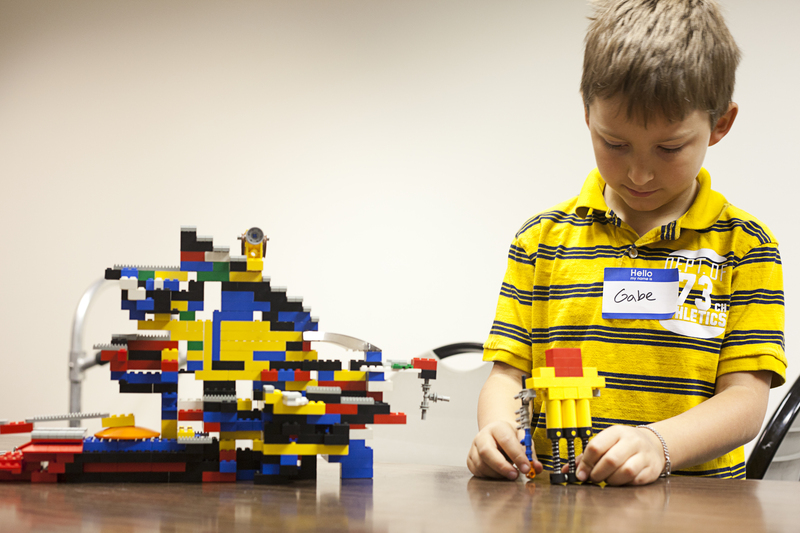 They design and create their own inventions and experiments, interpret data, control variables, present conclusions and develop new thinking strategies while they gain lifelong learning skills and attitudes. Spring Break classes run in March, and week-long summer classes are offered from mid-June to late August for children ages 4-14. Classes run all day and are geared towards each age group. Classes are held at OMSI’s Water Ave location and Jesuit High School. OMSI offers “camp-ins”, in which participants can spend a night at the museum. Camp-Ins are a great idea for schools, clubs, church, scout, or youth groups of any size. At the Museum Camp-In, overnight visitors have full access to the entire museum, enjoy a film at the Empirical Theater, tour the submarine, engage in hands-on science activities, enjoy dinner, an evening snack and a continental breakfast, and participate in fun, action-packed activities. Museum Camp-Ins are geared toward either elementary or middle school students. 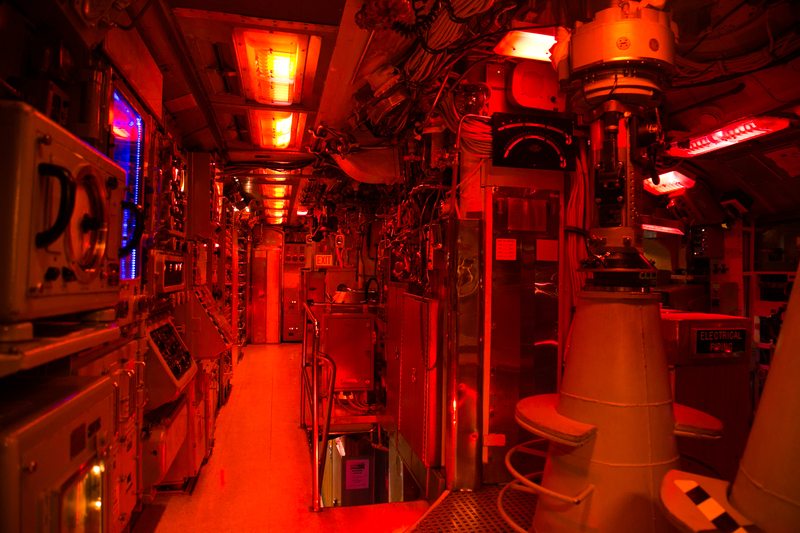 In Submarine Camp-Ins, students from grades 3-12 sleep aboard the USS Blueback submarine, where they explore the control room, peer through a periscope, check out the engine room and set a course to carry out a top-secret mission. Here, visitors learn about the complex systems within their own bodies and those of other living things. In the main Life Science Hall, visitors can explore human growth and development with fun exhibits including a giant ear and auditory canal and a life-sized transparent woman whose organs light up. One corner is dedicated to nanomedicine including an exhibit that lets visitors target cancer cells in a tumor by sending gold nanoshell balls into the bloodstream through a pinball machine-like model. Visitors can walk through the stages of human development in Beginning the Journey and learn how to increase brain connections while they age in the Amazing Feats of Aging exhibit. The Life Science Hall also houses the Life Science Lab where visitors can touch and hold a variety of animals and insects while learning about these animals’ amazing adaptations. Visitors can explore nutrition and fitness in Eat Well, Play Well/Come Bien, Juega Bien, a bilingual (English/Spanish) exhibition featuring fun, hands-on components. This hall is also home to our Earth Science exhibits. 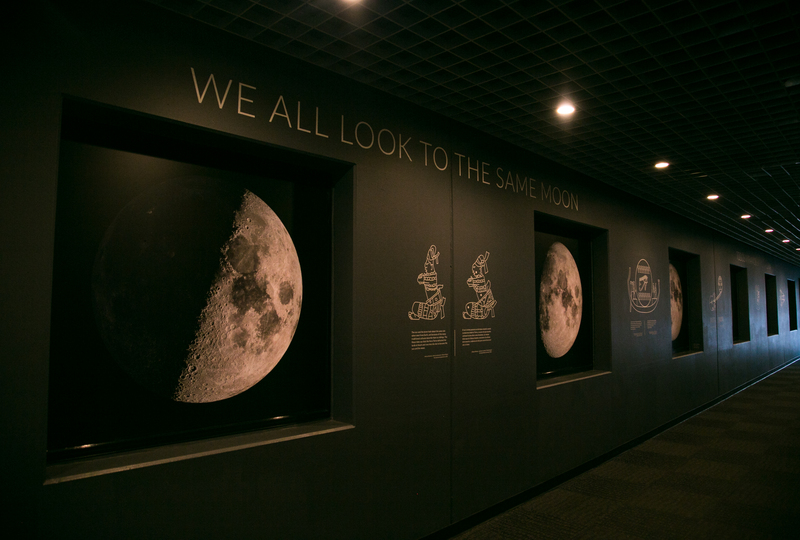 These exhibits focus on the characteristics of our planet such as geology and tectonics, weather and climate and their inter-relationships with life, both past and present. 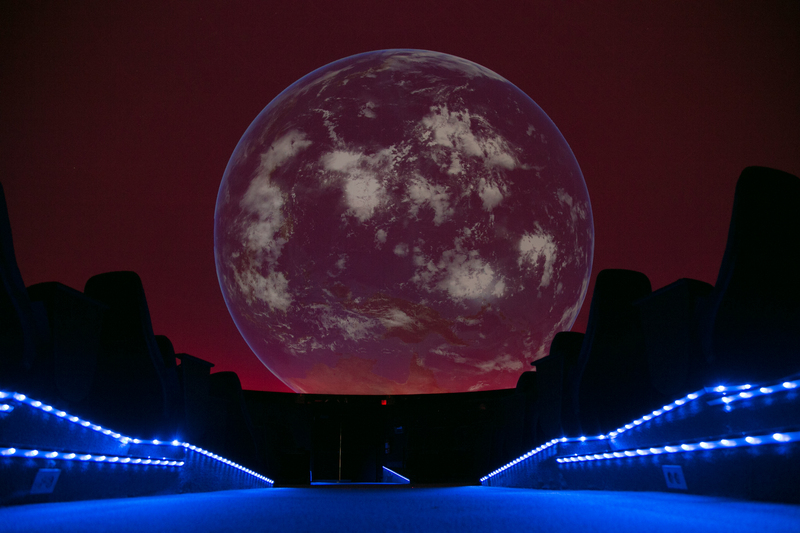 Science On a Sphere is a six-foot suspended sphere that uses computers and video projectors to display dynamic animated images of the Earth’s atmosphere, oceans, animal migration patterns, global warming trends, hurricane paths, as well as the surface of the Sun, Mars, Moon and more. The Earth Science Hall is also home to the Paleo Lab, where staff and volunteers work on ancient fossils in a setting open to the public. The Watershed Lab allows visitors to create their own rivers, experiment with things that sink and float, learn more about plate tectonics, ice cones and climate change as well as the potential for renewable energy in Oregon and Washington. Clever Together: Our Everyday Choices/ Juntos Somos Ingeniosos: Una Decisión a la Vez is a bilingual (English/Spanish) exhibit that encourages visitors to make more sustainable decisions by weighing the environmental, economic and social impacts of their choices. The exhibition is accompanied by the Local Voices, Clever Choices website, which highlights local sustainability stories and a challenge-based game for families. 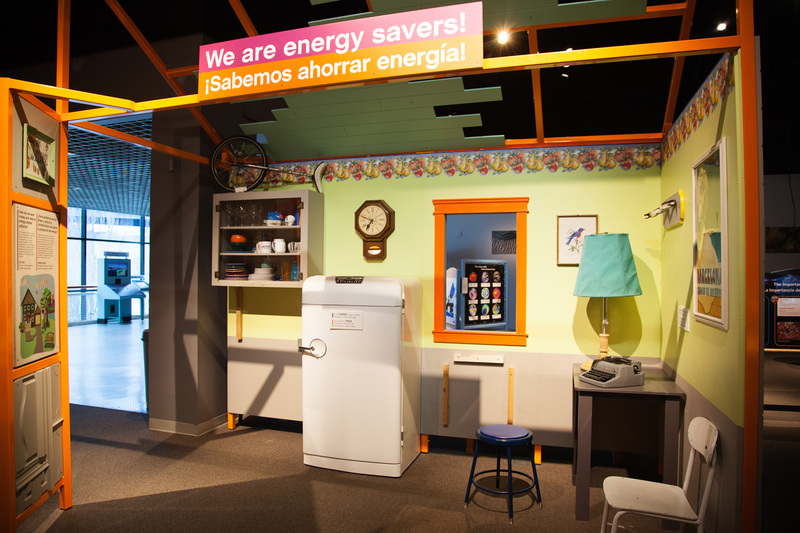 Renewable Energy/ Energía Renovable is a bilingual (English/Spanish) exhibit that gives visitors the opportunity to explore how energy from sources like wind, water and sun can support our daily energy needs. 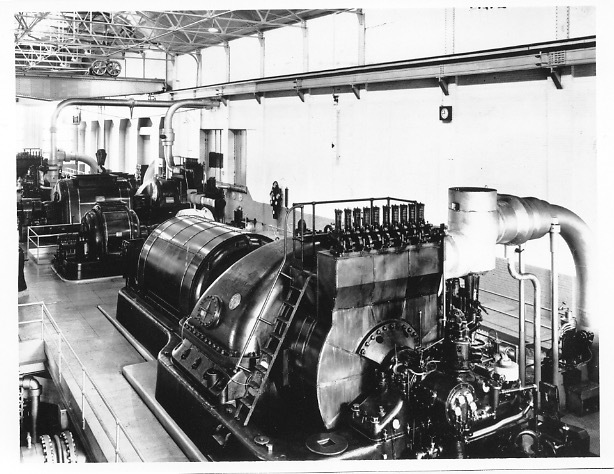 Experiment with physical science and technology in this hall named for the large historic turbine generator that serves as its focal point. 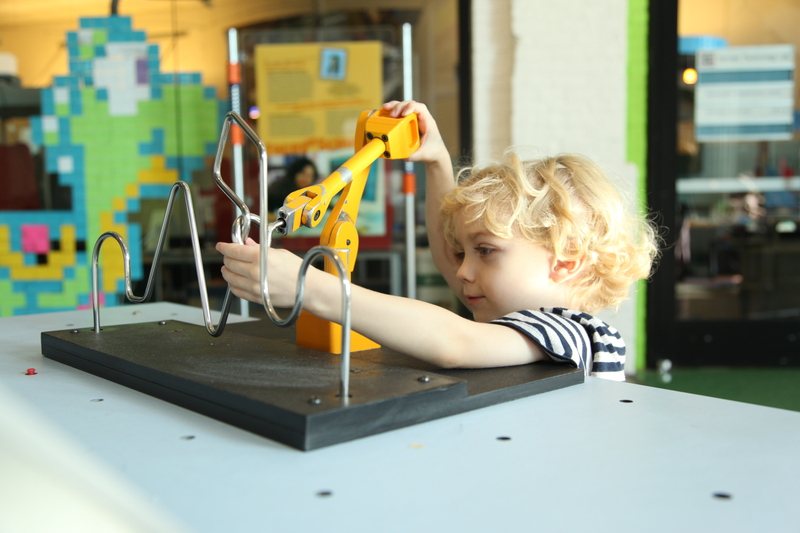 Robots: Visitors can manipulate two large robotic arms normally found in an industrial plant. They can also compare human skills to robotic skills in a “loop and wire” challenge that demonstrates the delicate, yet fast capabilities of these modern marvels. Water Tables: Visitors can gather at the water table to build water delivery systems serving their “community” using aqueducts, pumps, pipes and more. Other exhibits include a model of irrigation techniques comparing spray, drip and flood methods; a display examining past solutions to global water management problems; and a look at the impact of dams on the environment. Vernier Technology Lab: This hands-on lab revolves around how technologies have evolved to the modern day. Watch current 3-D printers create functional forms or play with old-fashioned technologies like a Morse code device that sends messages to the physics lab, or a punch-hole technology that mimics how musical rolls were made for player pianos. Enjoy other demonstrations around topics like security, biomedicine, robotics and computers. Activities rotate weekly, giving visitors something new to see with each visit. Designing Our World: This area uses basic design principles like iteration and collaboration to strengthen critical thinking skills, teamwork and leadership. 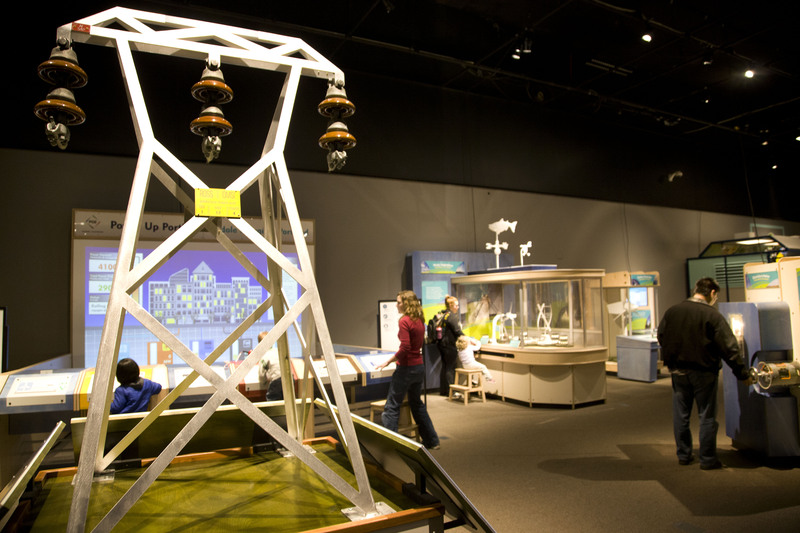 Guests can test their mettle with design challenges, which require them to build a structure to withstand an earthquake, resist the strength of the sea in our tsunami simulator or learn how to harness the power of the wind. 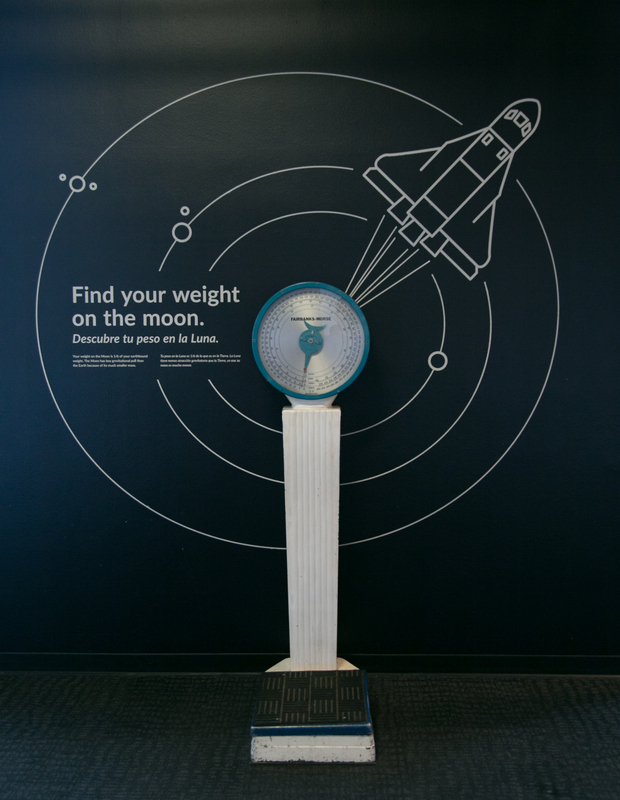 Most importantly, the exhibit is fun for boys and girls of all ages and illustrates one of the many ways in which guests can experience the fascinating world of engineering. Engineer It! 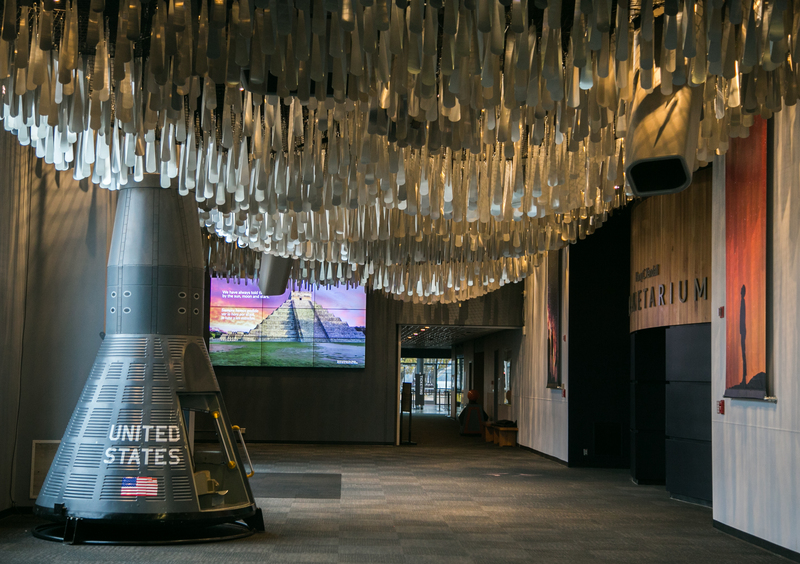 : This is a popular engineering design and testing area where visitors can make paper airplanes, boats and structures to test in OMSI’s wind tunnels, water tanks and shake tables. Visitors can create forms with paper cups and watch them levitate over an air table. 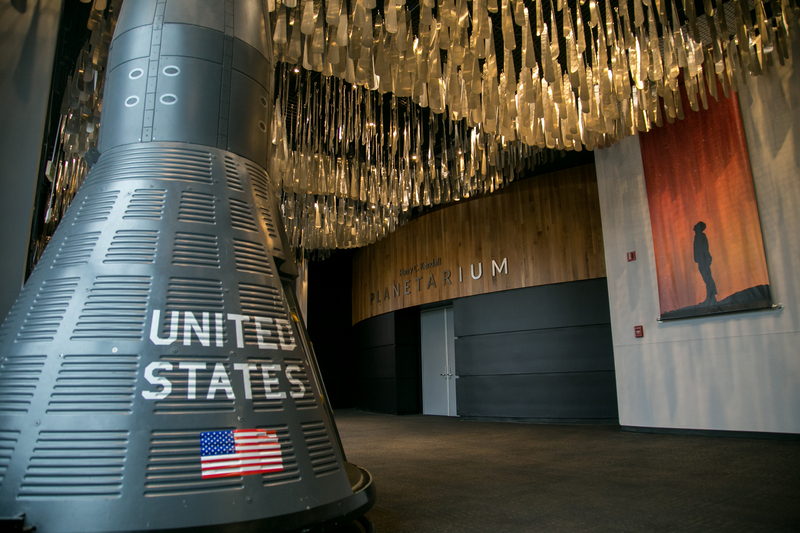 A Space exhibit conveys the excitement and awe of space and space exploration, allowing visitors to launch water rockets 50 feet into the air, test gravity, and try their hand at landing a model space shuttle. In the Laser and Holography Lab, visitors can explore laser light show effects, investigate the refractive properties of water, and learn how holograms are created. The Chemistry Lab offers experiments where visitors can safely mix, measure and pour chemicals to experience a variety of phenomena such as fizzing, foaming, making substances glow and even exploding things. 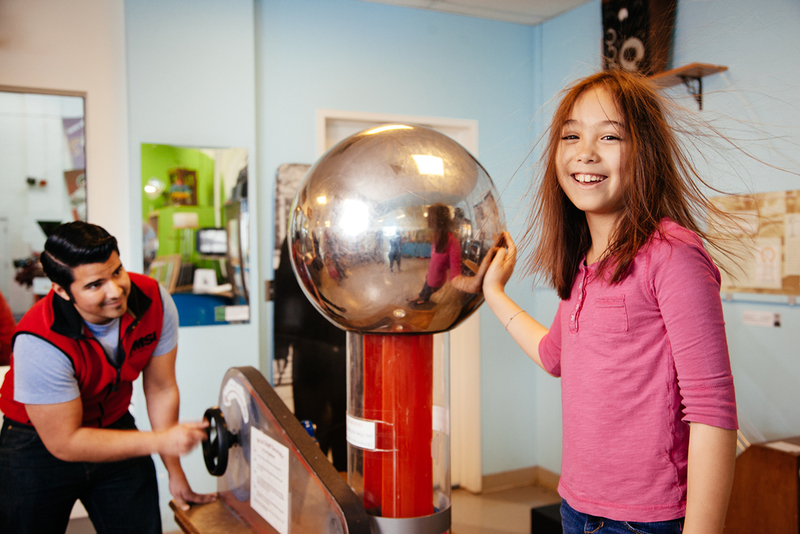 In the Physics Lab, visitors can touch a hand-cranked Van de Graaff generator and feel their hair rise, use a strobe light to see droplets in a flow of water and watch educators create fantastic electric arcs using the Great Ball of Doom. They can view some of the first phonographs ever made and learn how old-fashioned steam engines were built. 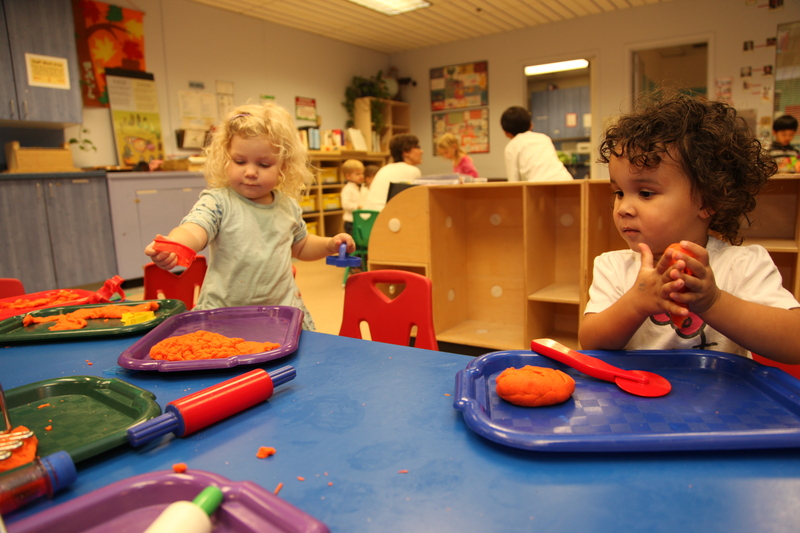 This 7,000-square-foot colorful and vibrant early childhood education area includes a wealth of activities designed to engage little learners and caregivers. The Waterworks: More than 400 gallons of water gurgles and flows through the Waterworks area. Visitors can enjoy the amazing “water wall” and flow-through interactive activities. Waterworks is best enjoyed in smocks provided by OMSI. Sandland: Little ones can dig and wiggle their toes in the 11 x 16 sandbox, complete with more than 5,000 pounds of soft, white sand. Infant Area: Complete with an extra-soft padded floor and seating for parents and caregivers, pre-walking infants can enjoy activities designed to develop their motor skills and gaze at a soothing aquarium filled with fish. 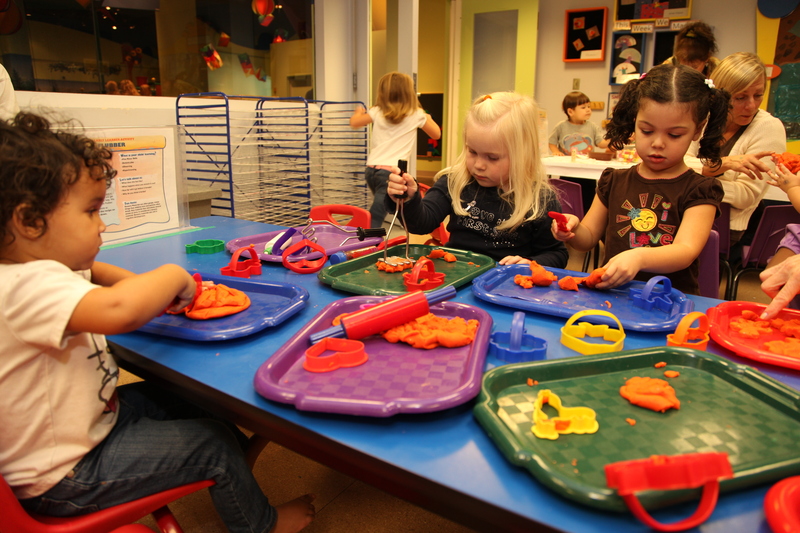 Discovery Lab: Little scientists can enjoy the “Art of Science” and “Discovery Science” areas with kid-size tables and chairs. 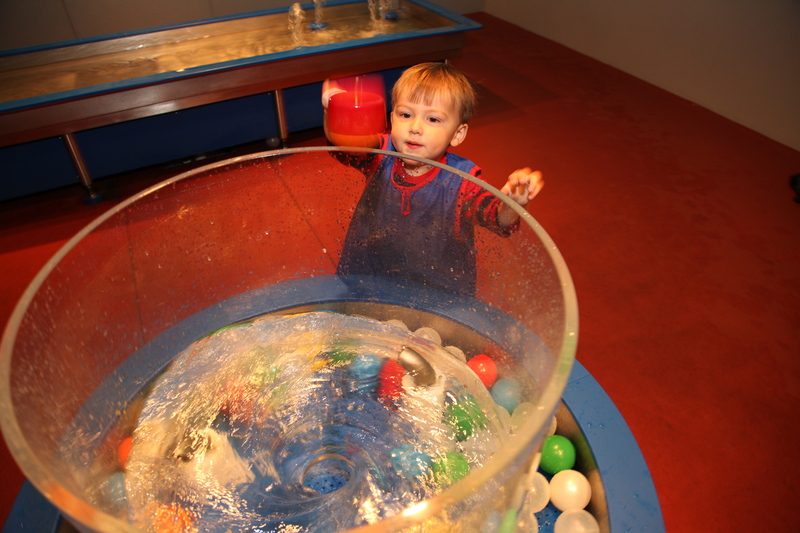 The Art of Science area offers hands-on activities designed to engage multiple senses and explore a range of materials. 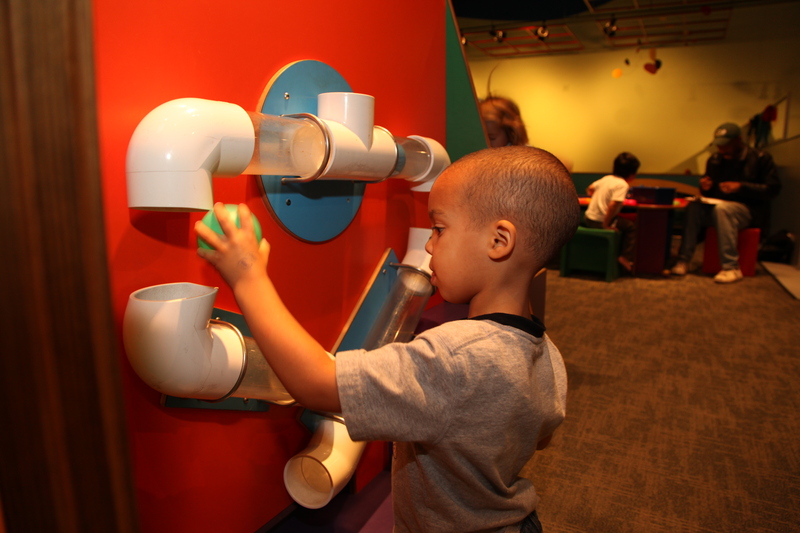 The Discovery Science section features “discovery drawers” for exploring everything from simple machines to insect specimens. A new program called Living Laboratory features cognitive researchers who conduct studies with visiting families and talk to them about their work. Please look at the Science Playground calendar for scheduled research and activities taking place in the Discovery Lab. Nature Play: You can discover nature from an animal's point of view in the Animal Secrets/Secretos de los Animales exhibit area. Kids (and adults!) can crawl through the roots of a giant tree, venture into a cave, explore a hollow log and investigate tools used by naturalists in this fun-filled exhibit. Animal Secrets features bilingual (English/Spanish) text panels. 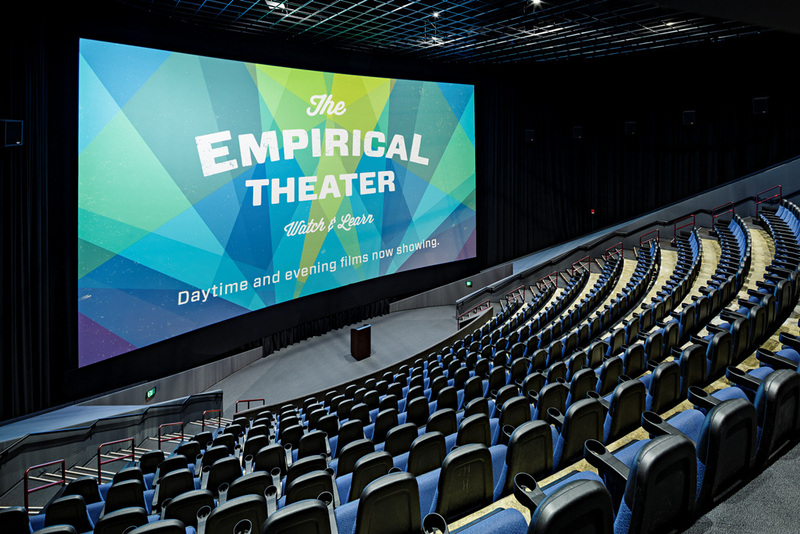 With a four-story curved screen and Dolby Atmos™ surround sound system, the Empirical Theater launches viewers into the midst of a cinematic experience unlike any other. 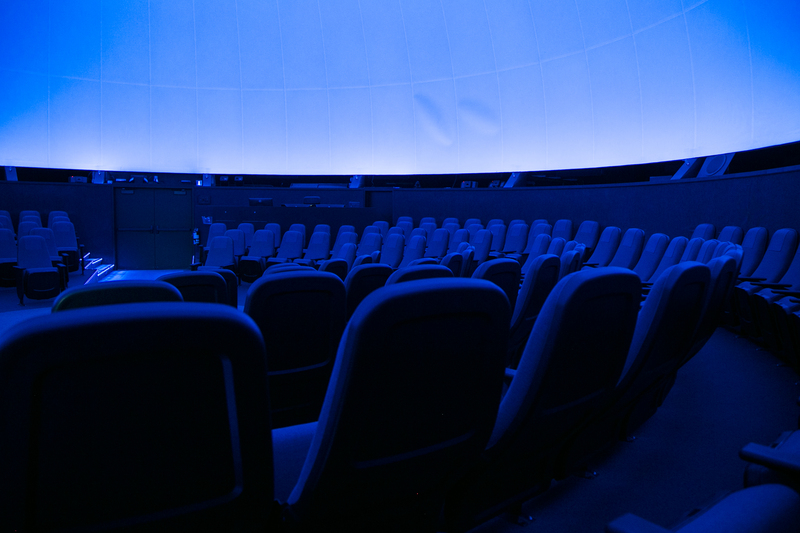 OMSI is the first museum in North America and the first science center in the world to have Dolby Atmos™ technology, which allows the theater to have state-of-the-art audio. The speaker system has includes 56 speakers and 24 amplifiers, which equates to 29,000 watts of digital sound. The new sound system has the ability to offer assistance to hearing impaired visitors, an option that did not exist in our former set up. The brightness and clarity of the image on the curved screen is also due in part to the projector’s light source. 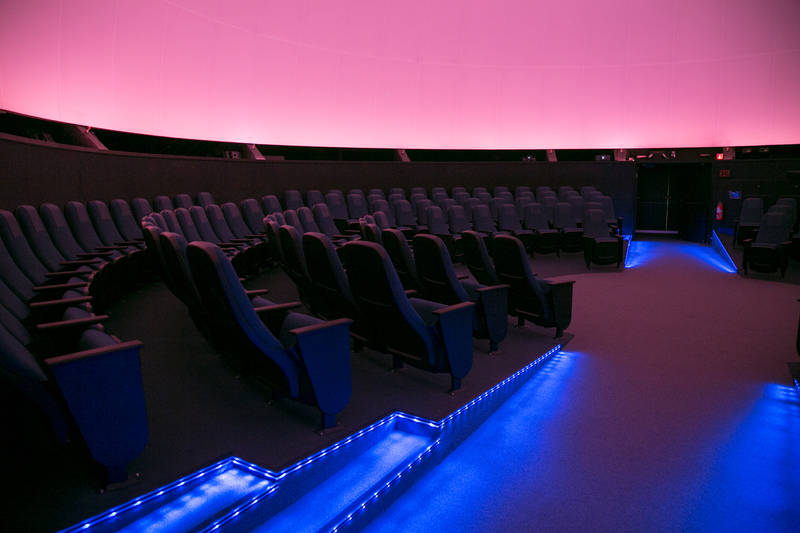 The projection system is entirely digital with 4K technology and 3-D capability, making it possible to show a greater range of content than ever before, including live satellite feeds and Blu-ray. 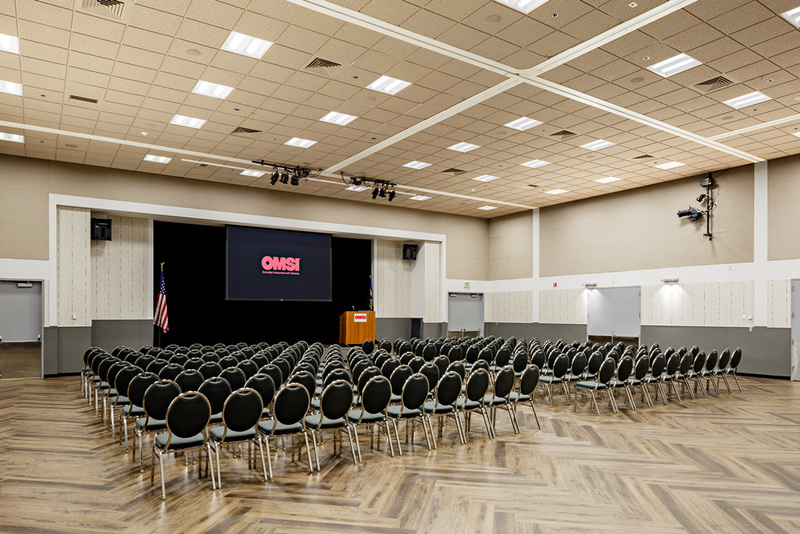 The Empirical Theater can be rented for private screenings or presentations. 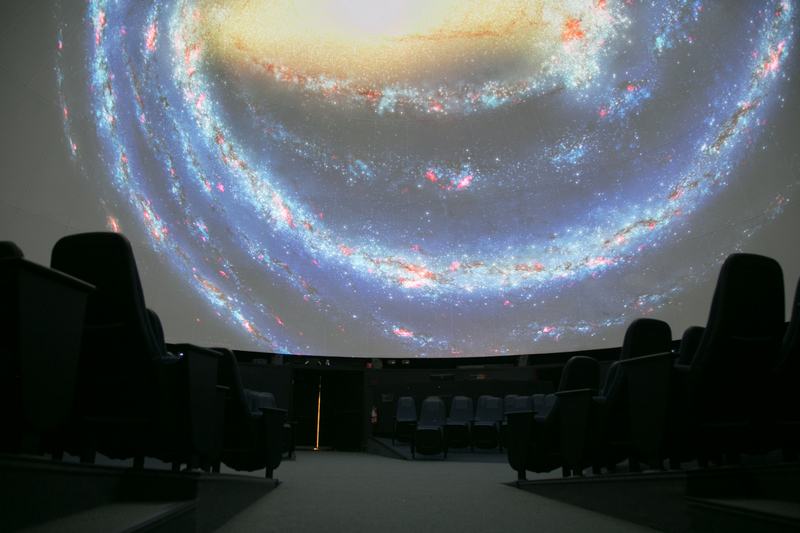 The Planetarium offers a variety of educational and entertaining multimedia presentations on astronomy and space science, as well as a diverse catalog of laser light programs. 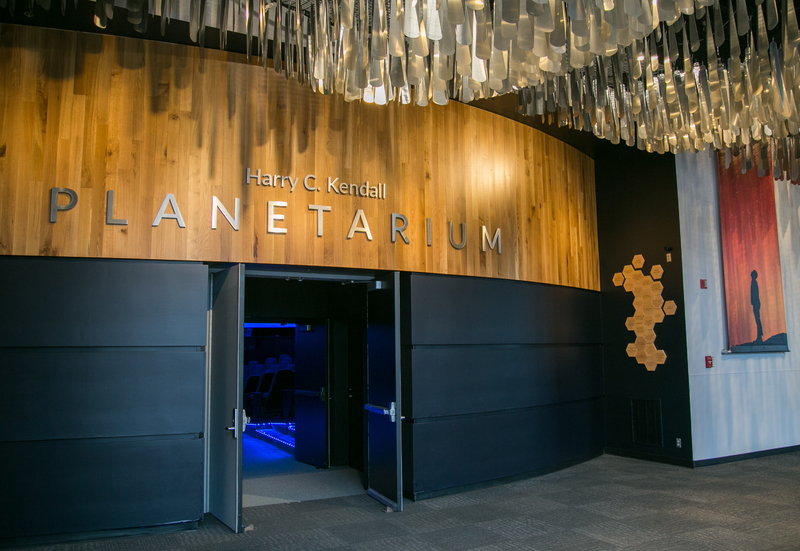 OMSI’s Harry C. Kendall Planetarium, a 200-seat, 52-foot domed theater, is one of the most technologically advanced planetariums in the Pacific Northwest, hosting over 100,000 visitors annually. 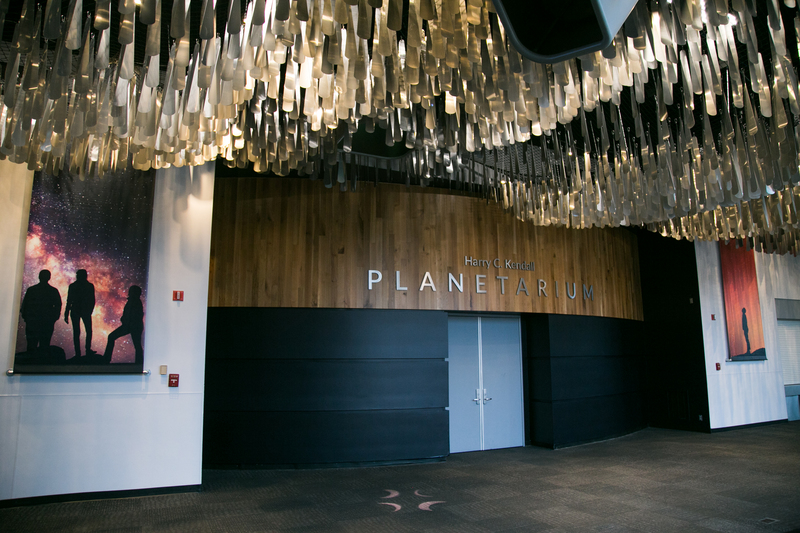 We strive to create an inspiring and unique visitor experience through the novel and immersive environment of the planetarium theater. 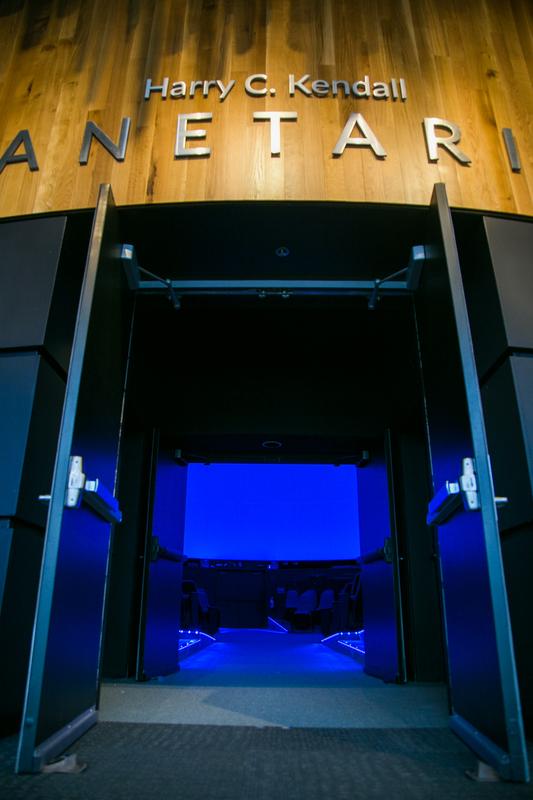 Fully integrated within OMSI’s mission, the Planetarium experience is made possible through current information of space science and advances in theater technology. 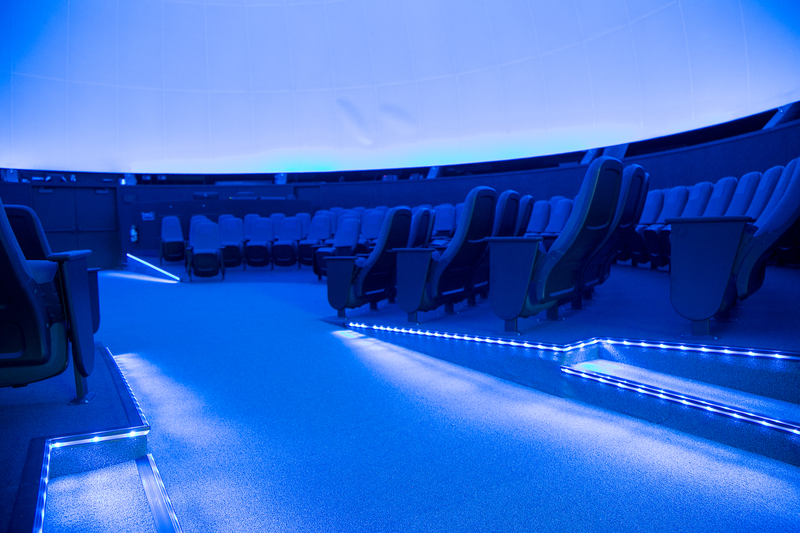 The planetarium sports the new generation of Sky-Skan’s DigitalSky simulation and control system, DigitalSky Dark Matter. Designed by planetarium directors for planetarium directors it constantly updates as new capabilities and content arrive from the cloud. 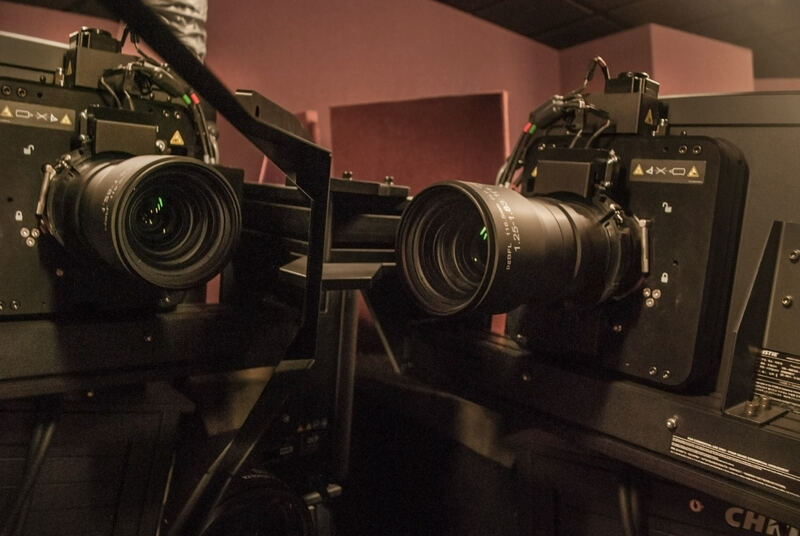 DigitalSky Dark Matter uses the JVC Reference Series offering an ultra-deep 160,000:1 native contrast ratio and 2,000 lumens per projector. A server of computers with the latest in NVidia graphics, 8GB RAM, 2TB memory, solid state drives, and 3.7GHZ Quad-Core processing per PC powers the Definiti system, including fulldome projection, sound system integration, and master control. The laser show installation at OMSI uses six Rainbow FX laser projectors from the new Laser Fantasy Rainbow FX laser system. The laser system outputs about 15 watts of laser light compared to less than three watts from the previous system, and uses a fraction of the electricity eliminating the need for three-phase power and water cooling. 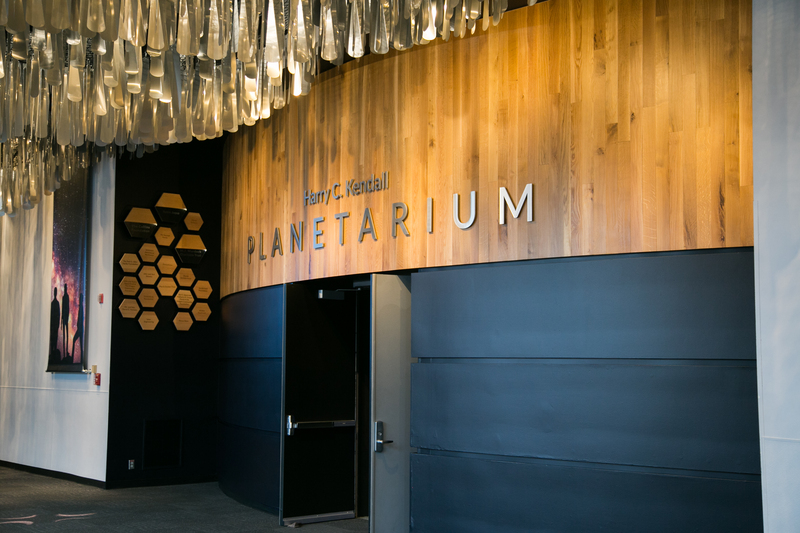 Over the last four decades, the OMSI planetarium has built a library of more than 125 full length, high quality shows, spanning educational topics, classic rock, and modern hits. Combined with our terrific hardware, it’s our shows that keep the audience coming back year after year. 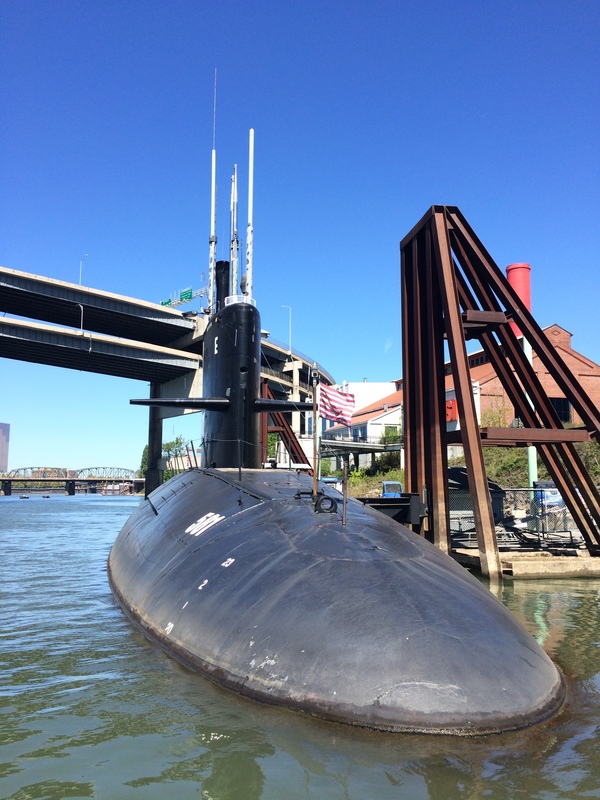 The USS Blueback (SS 581) is one of the most modern U.S. submarines on public display anywhere in the country. The ship was decommissioned in October 1990. 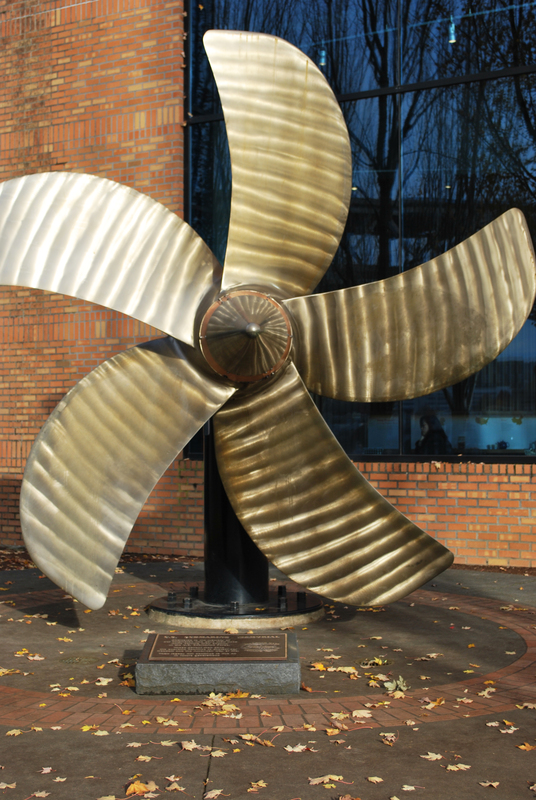 It was opened to the public in May 1994 at OMSI, and is on permanent display at OMSI’s dock on the east side of the Willamette River. 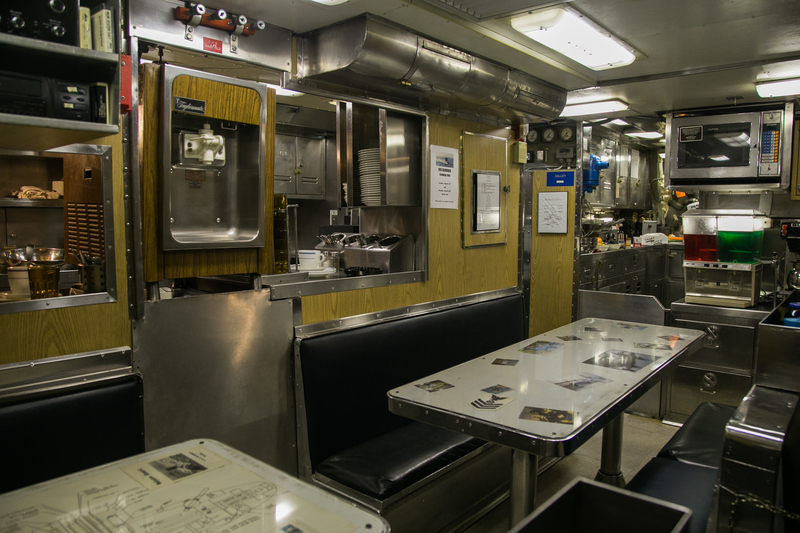 Visitors can climb aboard the sub and experience what life was like for the 85 men who lived and worked on the boat. 40-minute tours occur throughout the day, and include a behind-the-scenes look at how a submarine dives, produces its own electricity and fresh water, and stays submerged for months at a time. 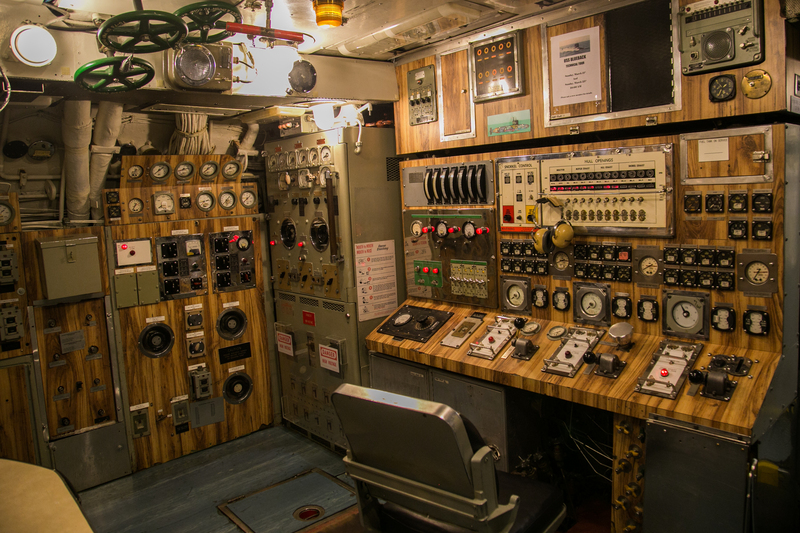 Highlights of the tour include a look at the engine room, the radio room, the control room and attack center, the crew quarters, and the escape and torpedo-loading trunk. A more technical tour of the sub takes place on the first Sunday of every month. 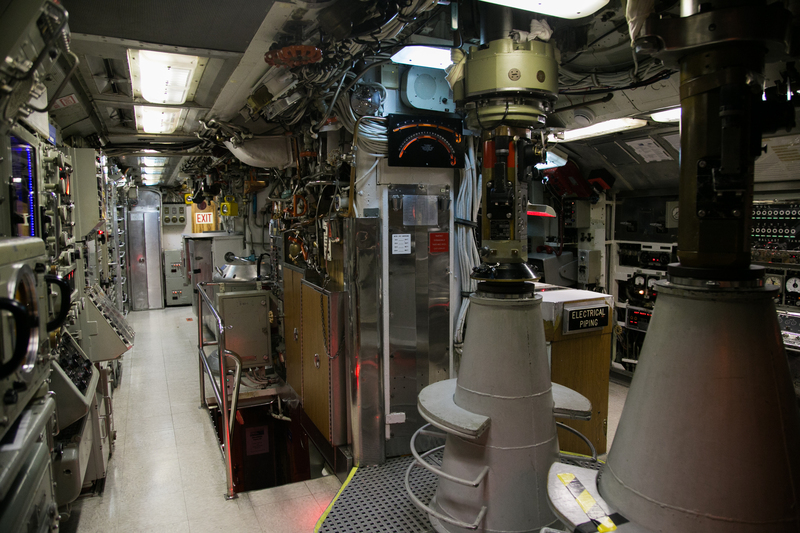 The purpose of the two-hour “Guided Tech Tour,” guided by an ex-submariner, is to give visitors a comprehensive technical look into the workings of the submarine. 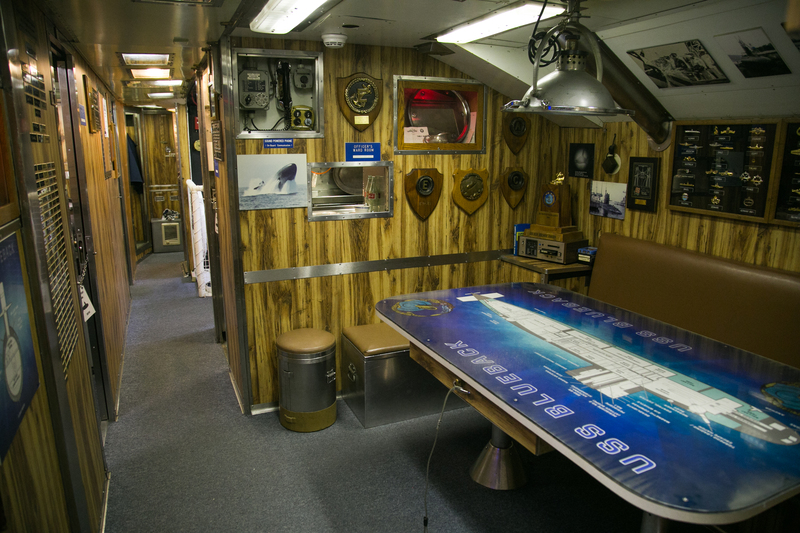 Kids can also spend the night onboard the sub, as part of OMSI’s camp-in program. 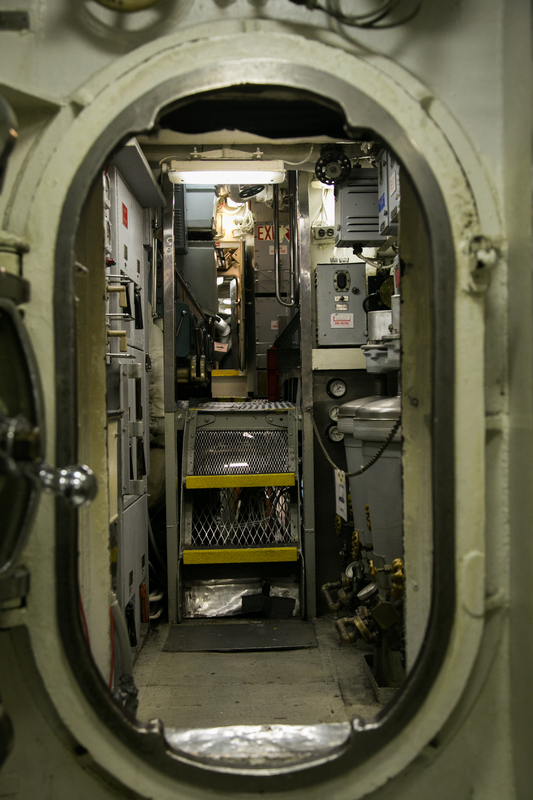 Students from elementary through middle school sleep in the crews’ bunks, after they explore the control room, peer through a periscope, check out the engine room and set a course to carry out a top-secret mission. The Blueback also features a volunteer HAM radio station (W7SUB) operated by retired Navy veterans. They communicate with other HAM radio operators throughout the world. OMSI hosts two memorials for submariners on eternal patrol. One is a permanent memorial plaque for submarine veterans of WWII and is located at the entrance to the ramp leading to the dock. The other is the propeller (screw) from the Blueback, surrounded by 67 bricks, each engraved with the name and date of a lost U.S. submarine. It is located on the river walkway in front of the museum. In 2014 OMSI’s sub volunteers were honored with an award from the Association of Fundraising Professionals (Oregon and SW Chapter) for their tireless dedication. SPEND THE NIGHT AT OMSI! ROBOT REVOLUTION: THE COOLEST ROBOTS EVER!